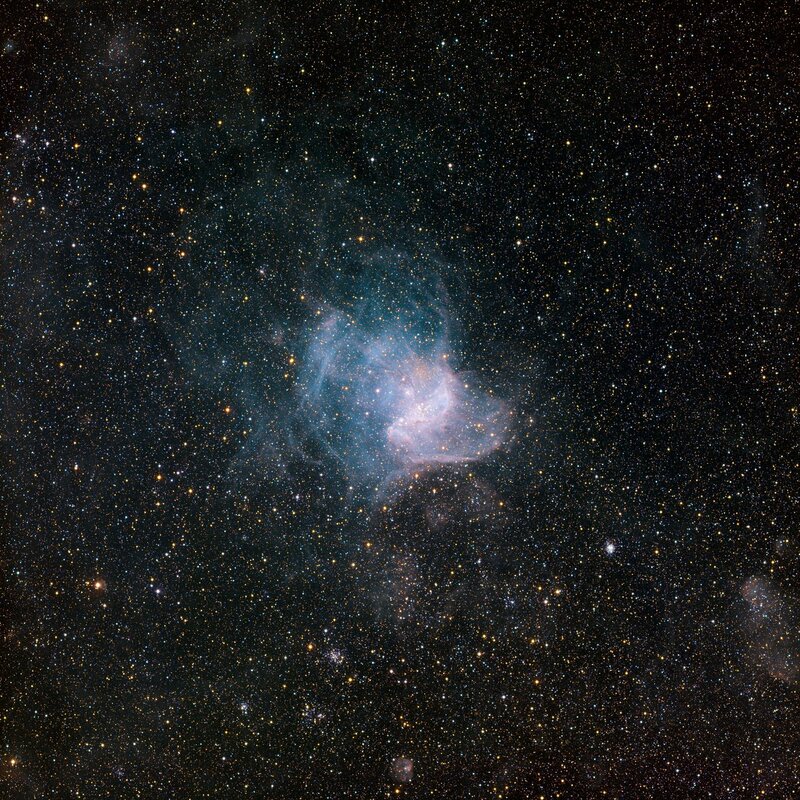 NGC 346, the brightest star-forming region in the neighbouring Small Magellanic Cloud galaxy, some 210,000 light-years away from Earth. The light, wind and heat given off by massive stars have dispersed the glowing gas within and around this star cluster, forming a surrounding wispy nebular structure that looks like a cobweb. NGC 346 is located in the constellation Tucana (the Toucan) and spans approximately 200 light-years. This particular image was obtained using the Wide Field Imager instrument at the 2.2-metre MPG/ESO telescope at the La Silla Observatory in Chile. Images like this help astronomers chronicle star birth and evolution, while offering glimpses of how stellar development influences the appearance of the cosmic environment over time. 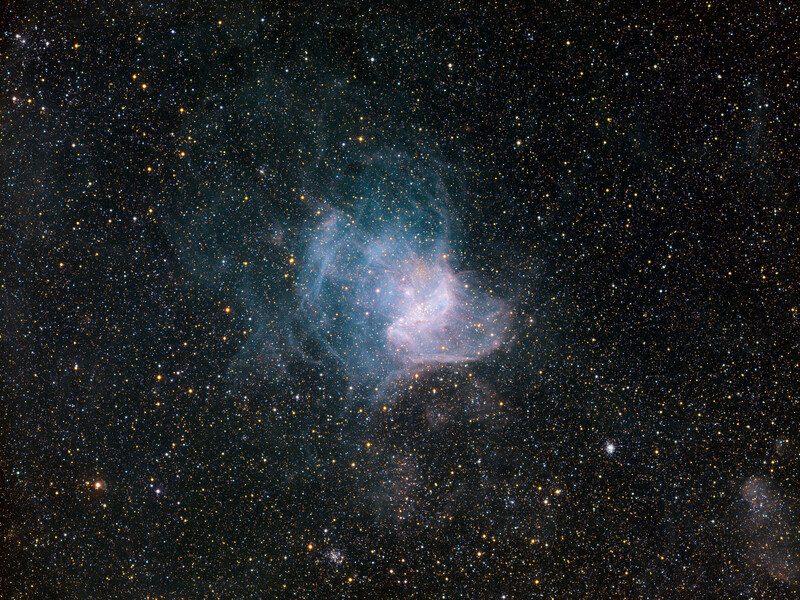 This is an enhanced colour image based on three different broadband filters (B, V, R), as well as a narrowband filter (H-alpha, shown in blue). The field of view is about 30 arcminutes wide. Position (Dec): -72° 10' 48.48"